Be free. No longer are you constrained by the proprietary NAILD axle. Simply replace the NAILD nut with our threaded nut and thru axle. 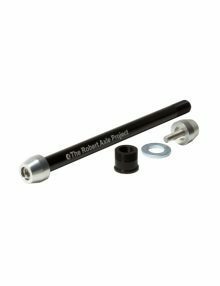 A complete solution for a standard threaded axle for your bike. This axle is designed specifically to replace the NAILD axle system found on some Marin and Polygon bikes with 12×142 hub spacing. The axle includes our threaded replacement nut for the NAILD system.